The 457 visa is Australia’s most popular way to work in Australia on a temporary basis with many visa holders deciding to move to permanent residency at the commencement of the visa. There are a number of 457 visa conditions that exist for these holders which both applicants and current holders should know which is discussed below. All content was updated in September 2015. In more cases can only apply for a 457 visa once you have been sponsored by an approved business. 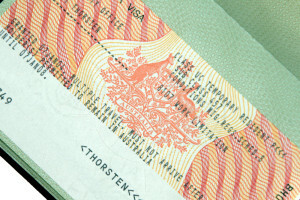 The occupation advertised and your skills must meet the skilled occupation list – http://www.border.gov.au/Visas/Pages/457-Temporary-Work-(-Skilled).aspx. As of July 2013 it is now a part of condition 8107 that a Subclass 457 visa holder must commence work with their sponsor within 90 days of arriving in Australia. A condition exists that you must be able to speak, write and understand a certain level of English while in Australia using the IELTS and OET system. Those that have completed five years of continuous full-time study in a secondary or higher education institution where instruction was conducted in English also don’t need to show proof of this. You may be required to show relevant Australian registration or licensing authority you hold, or will be able to meet, the registration or licensing requirements to work in your nominated occupation. On the 1st of July a time-frame of 28 days were given to 457 visa holders to gain the relevant licence, registration or membership for their occupation by relevant state of territory they are employed in. In many professions there are no registration or licensing requirements. For applicants this will require a health examination which can be done in most countries worldwide. 457 Visa applicants must meet character requirements including providing a police certificate from each country you have lived in for 12 months or more during the past 10 years after you turned 16 years of age. Past imprisonments and brushes with the law may harm the chances of receiving a 457 visa. All applications MUST have proof o adequate health insurance for the 457 visa, also know has “457 visa health insurance’. Once an applicant applied for a health insurance policy which meets Department of Immigration and Border Protection requirements for the 457 visa they will receive a letter/e-mail as proof of cover which will be required with the application. The 457 worker must earn the market rate based on their occupation and position within the firm. This is also adjusted for the location they work in as areas such as Sydney which have a high cost of living may have a higher salary rate then those in Adelaide for example. All 457 visa holders must maintain their 457 visa health insurance unless they are eligible and receive Medicare. Holders can change 457 visa health fund during their stay but must maintain the minimum cover allowed under their visa subclass. If the sponsor (employers) chooses to cancel the employment relationship then the employee has 90 consecutive days to find new employment or leave Australia. During the 457 visa holders stay they must ensure any registration or licensing elements that are attached as a condition to their 457 visa are maintained and not allowed to lapse.